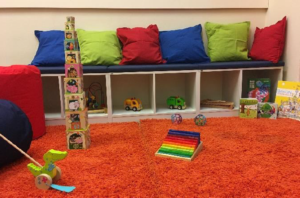 Open Playgroup for Kids ages 1-3 and their Families – Interkulturanstalten Westend e.V. Jumping, climbing, building block towers… it’s even more fun in a group! Come by to chat and play with your kids in a relaxed atmosphere. Our playgroup is free of charge and open to all families. Siblings, grandparents, and friends are also welcome.